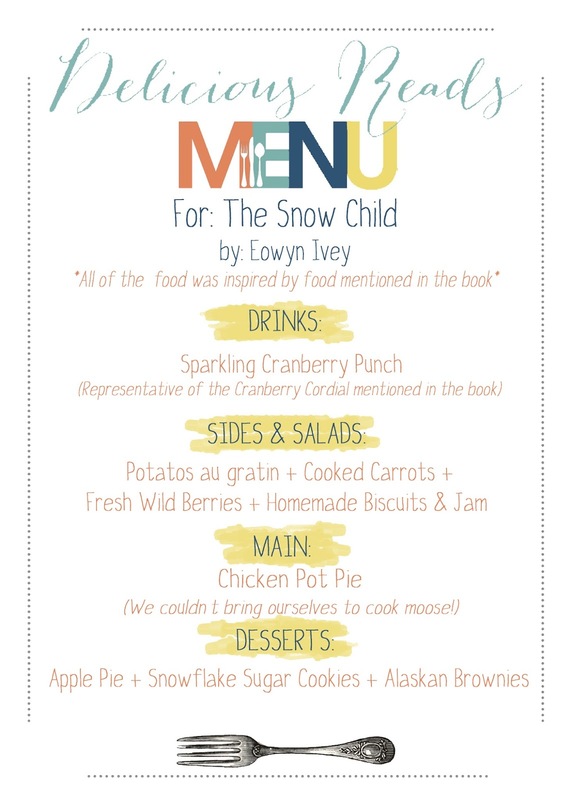 We couldn't have picked a more PERFECT February book (Whoops, I'm a little behind in blogging) when we choose to read THE SNOW CHILD by Eowyn Ivey. If you decide to read this book (which I highly suggest) then you must read it when it's cold out! 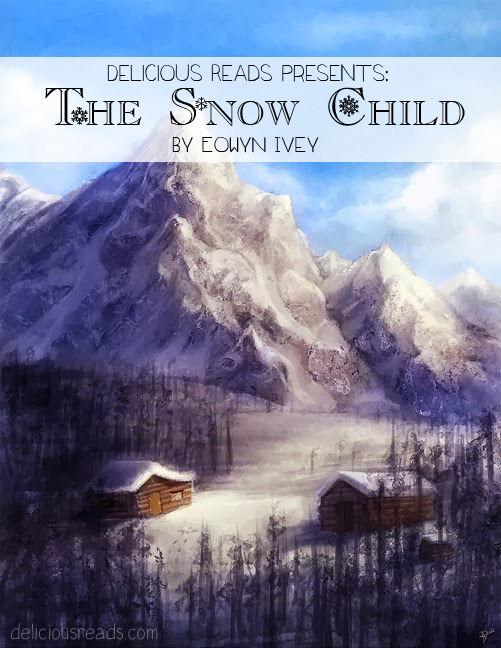 If you time it right then start reading when it's snowing out so that the magic waiting inside will lift off the pages as you are transported to the cruel but beautiful Alaskan landscape. 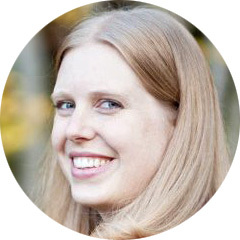 THIS MONTH'S BOOK MODERATOR WAS JENNY! Jenny got a BFA in interior design, she like to sew and craft in general. She love animals, especially dogs and cats. 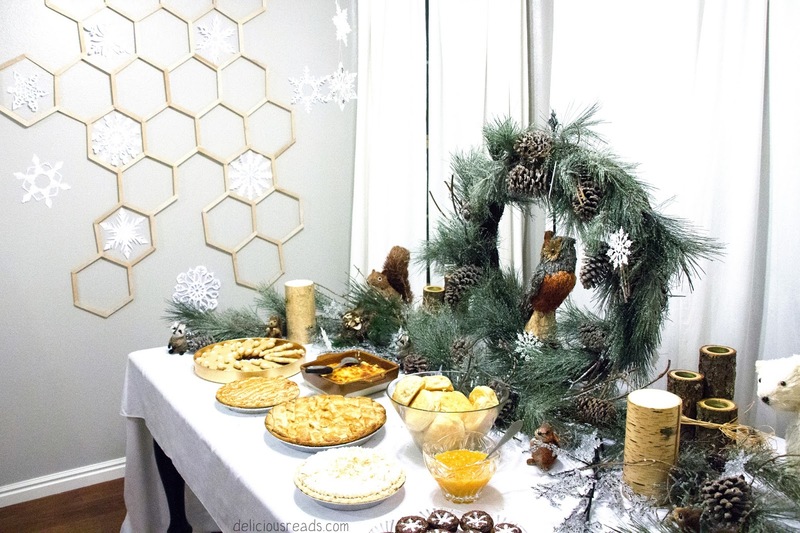 Her family consists of her computer programmer husband, her 3 kids and 2 cats. Some of her favorite books are: Watership Down, The Mistborn series, and the Abhorsen series by Garth Nix. 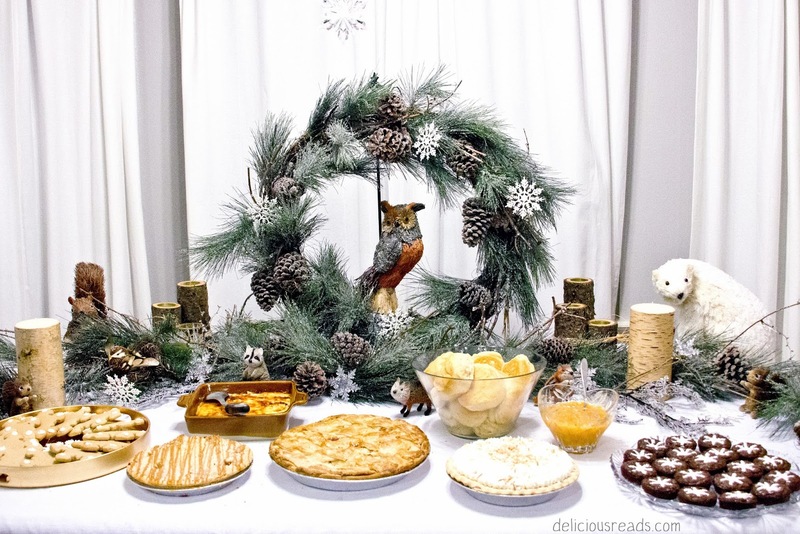 As Moderator, Jenny planned the entire evening and came up with the beautiful décor, creative menu, prize, and power power point for your personal use. 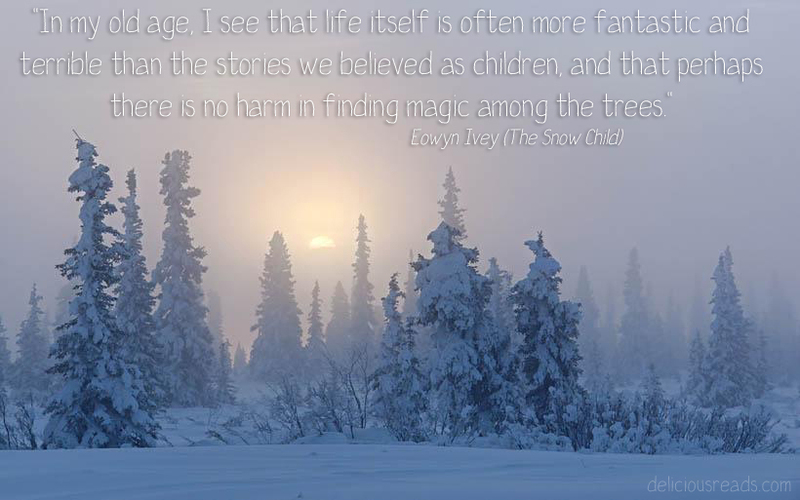 CONFESSION: I've always had a "thing" for fairy tales. Maybe it's because its the stuff I was raised on, maybe it's because I believe in magic but either way, whenever I learn of a story that's inspired by any fairy tale, I HAVE to read it! 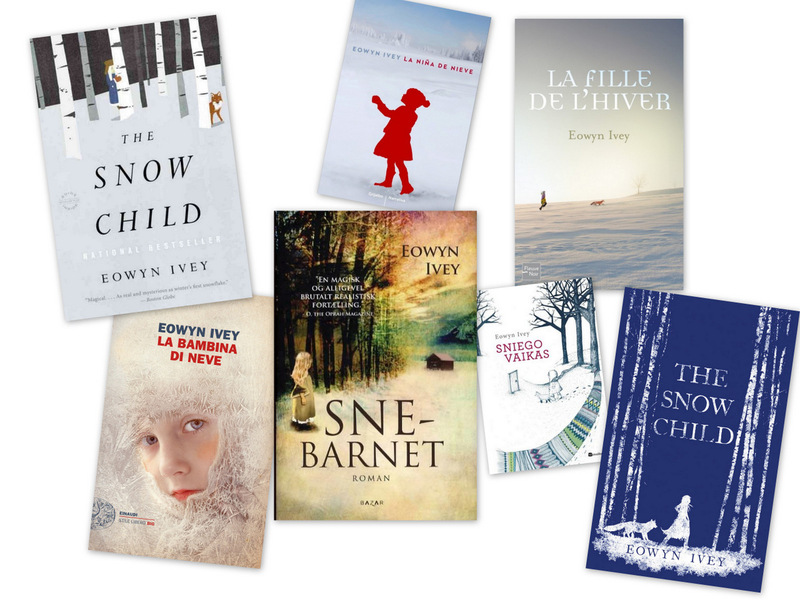 The Snow Child by Eowyn Ivey was inspired by a Russian fairy tale called “The Snow Maiden” or "Snegurochka" in Russian. 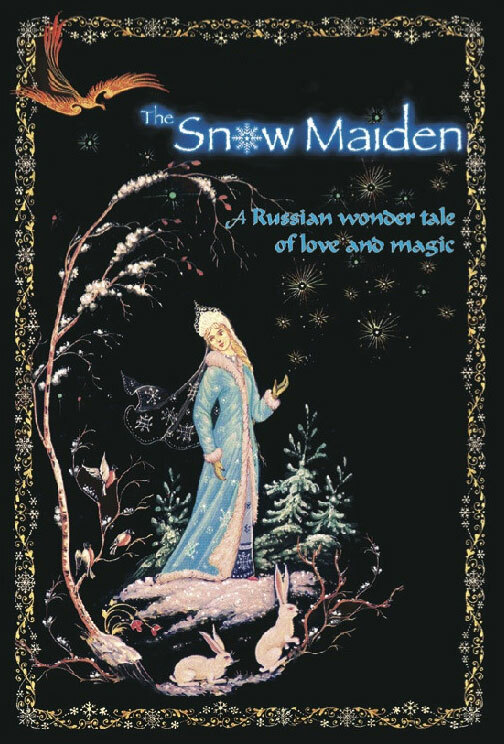 The Snow Maiden was first published in 1869 by Alexander Afanasyev. 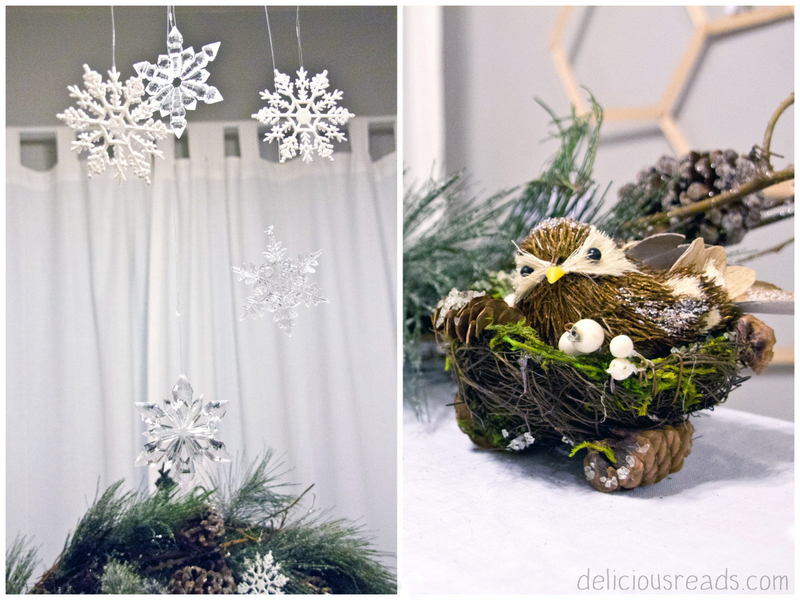 Check out the beautiful snowflakes we had hanging on the walls that Jenny and her family cut out! 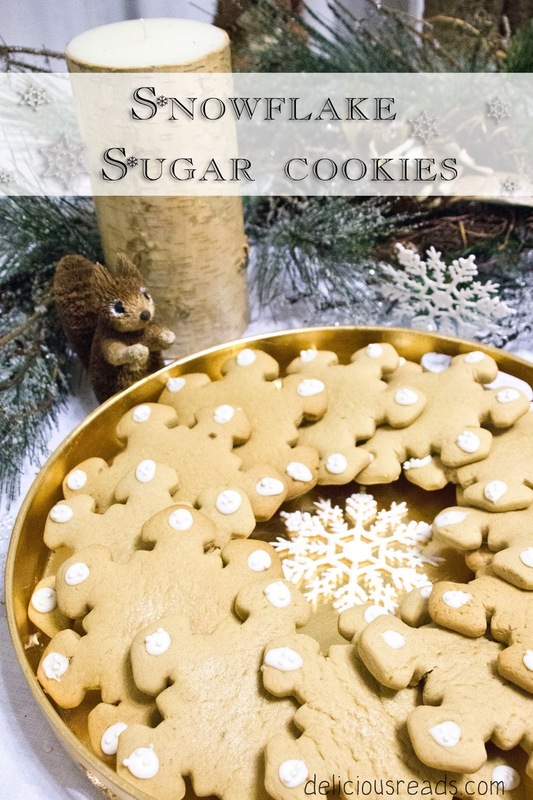 Kate made these BEAUTIFUL snowflake cookies, complete with a hint of "snowy shimmer." Check out Faina's trademark look that Jenny put together. 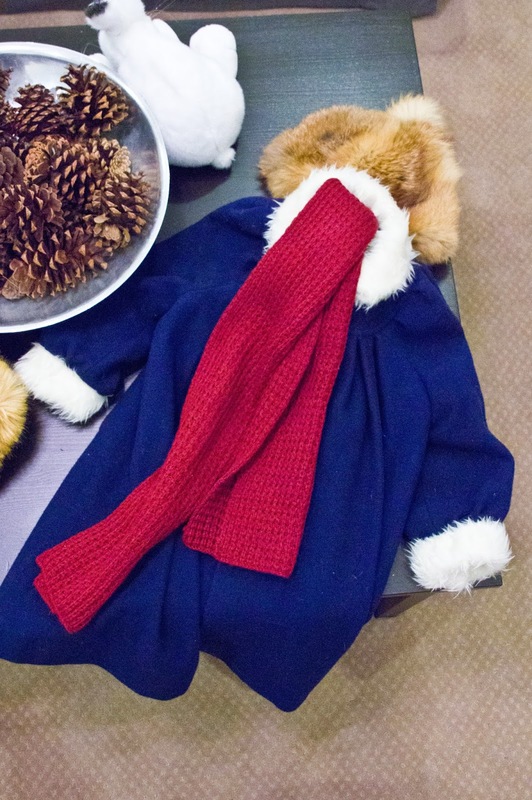 The red scarf that Faina took from the snowman Mabel and Jack built the night before everything changed. We had one of our BEST discussions to date on this book because our group was divided. Regardless of who loved it and who didn't, we all agreed that this book makes a PERFECT BOOK CLUB BOOK! It will keep your members discussing for hours! 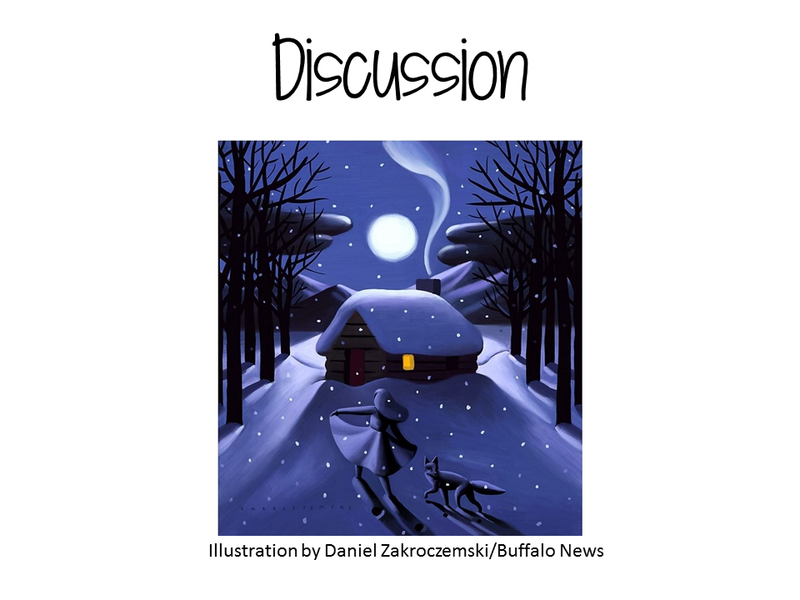 Our Moderator Jenny put together a power point that showed many beautiful photos of Alaska along with great discussion questions for your book club meeting! You can download the power point for your personal use HERE. "Is there a particular story of fairy tale that you feel a personal connection to and if so, please explain why. " Wow...SUCH a great question to ask a group of readers!!! The answers from all around the room were diverse, insightful, funny, interesting, charming, and ultimately, one of my favorite moments of the evening. Anyone who shared a story (which was all of us) then put their name into a drawing for a chance to win a fabulous prize! 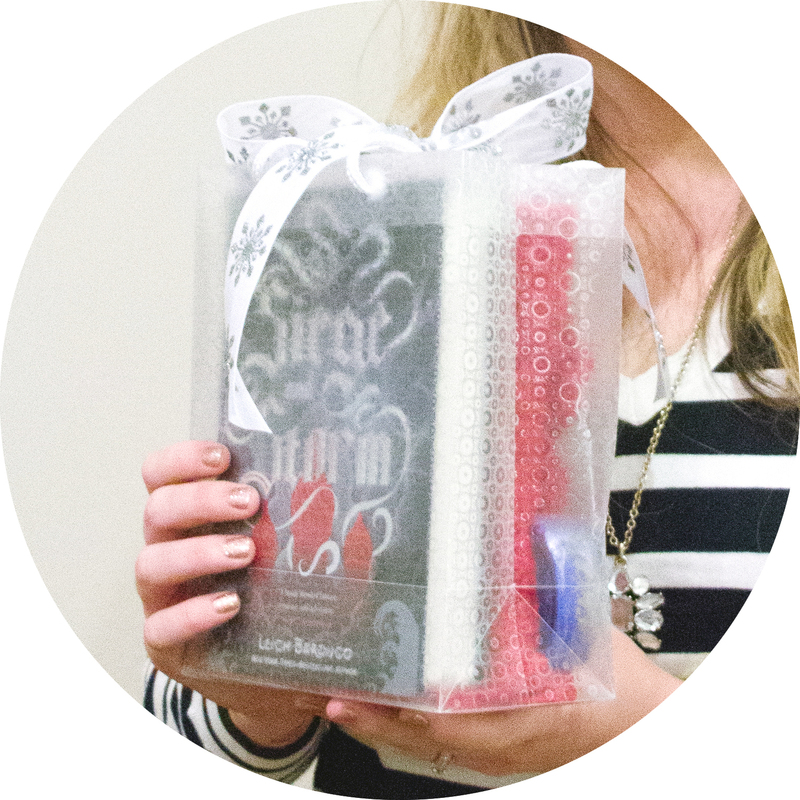 -"Siege and Storm," book two in the Grisha trilogy which was chosen for its Russian inspired backdrop. -Also included was a beautiful red scarf so the winner could feel a little more connected to Faina while wearing it. Imagine peering into a snow-globe; the scenery does not change, yet, there's something so captivating in simply watching the slow moving glitter settle at the bottom. 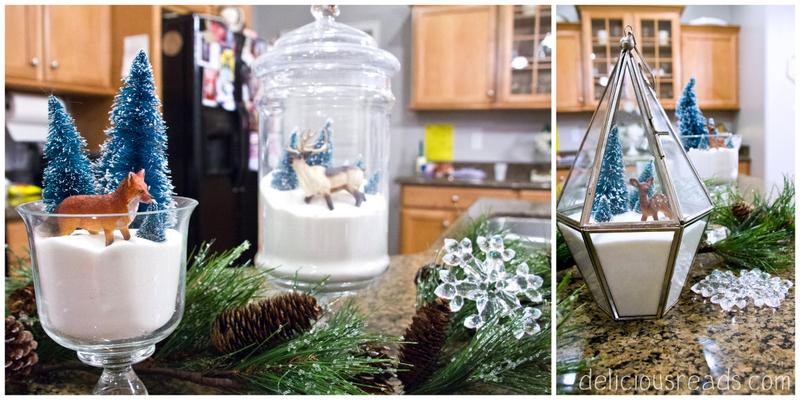 There is also a feeling of wonder and fragility with snow globes, like the world inside could shatter in a single fall. The Snow Child made me feel that same way. 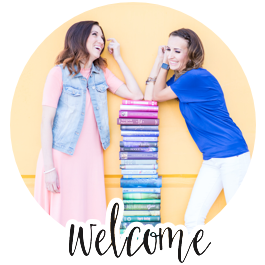 Don't forget to read our review by Lisa see our group star rating HERE!